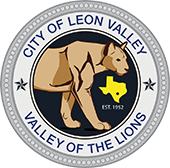 When: Sunday, November 11th, 2018 from 1:00 p.m. to 3:00 p.m.
On Sunday, November 11, 2018, from 1:00 p.m. to 3:00 p. the City of Leon Valley along with Leon Valley City Officials, and numerous special guests will dedicate the Evers Road Bridge in honor of all veterans and especially Marine Lance Cpl. Stephen J. Perez who gave his life in battle on April 13, 2006, in Al Anbar Province, Iraq, while serving in Operation Iraqi Freedom. Stephen J. Perez was a young man that spent a good portion of his life in Leon Valley. As a small boy, Stephen played baseball with his brother at Northwest Little League. Stephen attended St. Mary’s University, but felt a calling to serve his Country. He enlisted and became a Marine in 2003, but still called Leon Valley home. He was awarded the Purple Heart, Iraqi Campaign Medal, Global War on Terrorism Service Medal, Expeditionary Medal, National Defense Service Medal, Humanitarian Service Medal, and two Sea Service Deployment Ribbons. Please join us at Veterans' Memorial Park on Sunday, November 11, 2018, for a very special bridge dedication ceremony to honor all veterans and Marine Lane Cpl. Stephen J. Perez.